Size 3,10,11,13 currently out of stock. The Edgewater (previously known as the Muck Boot Trent) is a classic boot that combines the comfort and warmth you desire for battling the elements. 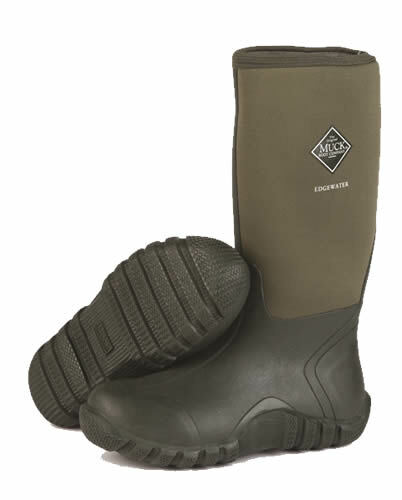 This versatile boot will keep you dry with it's 100% waterproof bootie and rubber outsole. Clean whatever you get into with a simple blast of the hose thanks to the quick-clean rubber overlay.